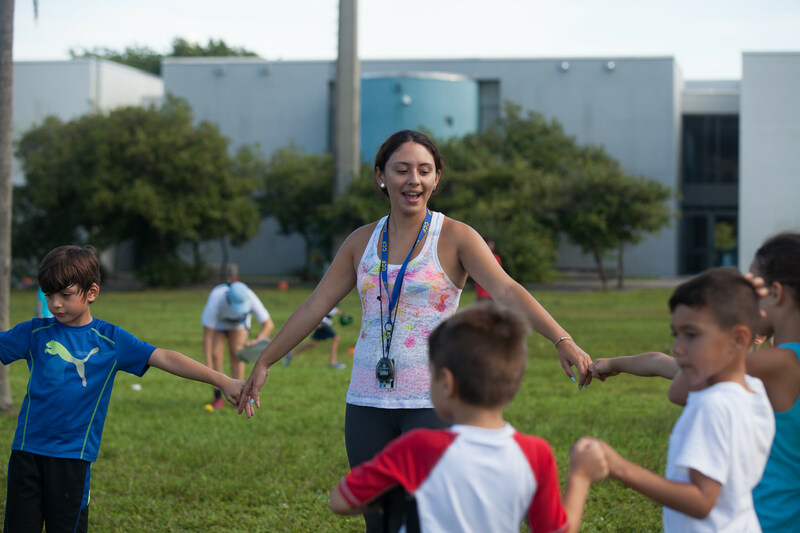 Counselors help carry out the day-to-day activities at the FIU Center for Children and Families Summer Treatment Program. FIU’s Center for Children and Families (CCF) is looking for paraprofessional counselors for the upcoming Summer Treatment Program (STP). The eight-week program provides treatment for children and families struggling with ADHD and related behavioral, emotional and learning challenges. The internationally lauded program provides 360 hours of treatment per child in just eight weeks — the equivalent of seven years’ worth of weekly one-hour sessions. In addition to the clinical staff, the program depends on paraprofessional counselors — typically psychology undergraduate students —to help carry out the day-to-day activities at camp and help implement evidence-based treatment plans focused on improving problem-solving, academic performance and social skills. 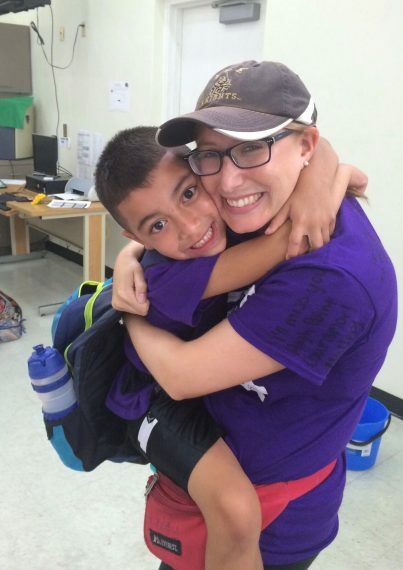 Haley Dacks with one of the Summer Treatment Program campers. Haley Dacks is one of those counselors. For the past four years, Dacks has dedicated each summer to working with children in the Summer Treatment Program. While undertaking intense 12-hour days, she wore many hats — from starting out as a classroom aide and classroom co-coordinator to being a lead research assistant and counselor. Each of these positions that Dacks held played an important role in helping the children improve their home life and preparing them for the upcoming the school year. 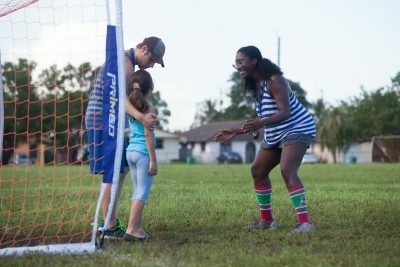 On average, 75 percent of the undergraduate students who work with the STP come from universities from across the country, and Dacks is just one of nearly 1,000 undergraduate and graduate students who have received training during the summer at CCF since the treatment program moved to FIU in 2010. Faculty and staff at the center carry out supervision and oversight of the program, while students work closely with the children to help them improve their behavioral skills, self-esteem and academic achievement. The STP was founded in 1980 by William E. Pelham, Jr., director of the center and professor of psychology. The STP has been replicated at many sites worldwide including Harvard University, the Cleveland Clinic, University of Kansas Medical Center, Florida State University, Chicago, Nashville and Japan. Counselors use evidence-based techniques to help participants improve problem-solving and social skills. In South Florida, the STP has successfully helped over 3,000 children and their families. Through research and clinical work, it is leading the way in providing therapeutic services and treatments for ADHD and other behavioral problems, anxiety and fears, academic and social skills, trauma and more. Dacks is now in the process of becoming a licensed mental health counselor and is currently working as a therapist at ABC’s for Success. She hopes to one day be able to implement a program similar to the STP where she can help children reach their full potential and have a better chance at succeeding in the future. For anyone interested in working at the 2018 Summer Treatment Program, click here to learn more.